Pressing at least one switch made the LED turn on. 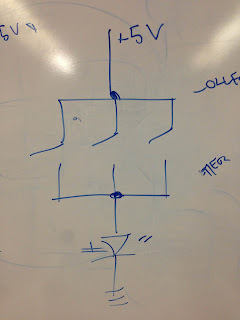 This particular circuit was very helpful in my understanding of the differences between connections in parallel and in series. 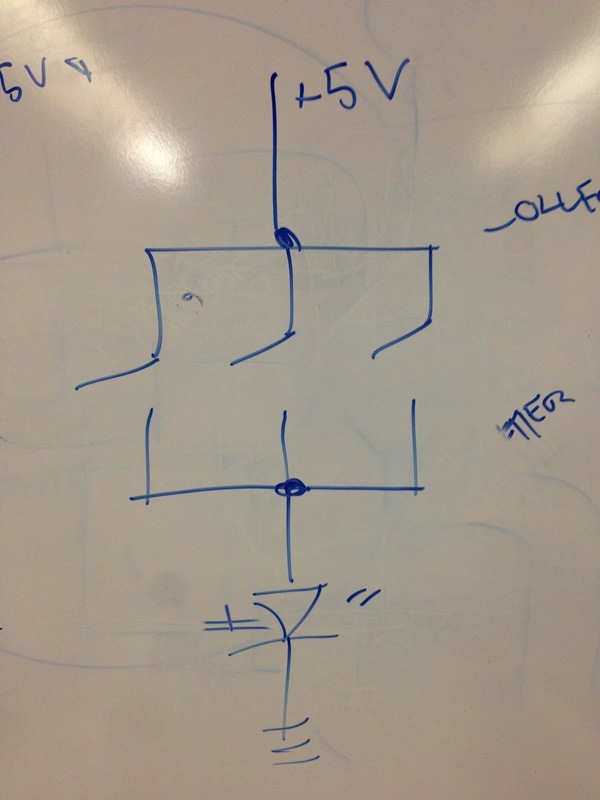 A circuit like this can be thought of as an OR logic gate, where it takes just one switch to turn on the LED. 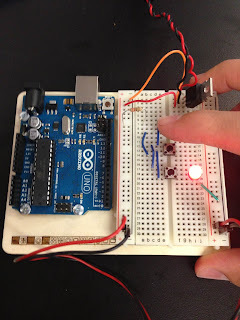 If the switches were instead wired in series, all three would need to be pressed at the same time in order to turn on the LED, as would be the case with an AND logic gate.